After taking out second place in the Pan Pacific Brazilian Ju-Jitsu Championship competition at age 18, David has never again settled for second place. Read on to discover David’s secret to success. Dave battles it out to be #1. Young David Jenyns attended one of the most prestigious high schools in Melbourne, a select entry, all boys’ school, Melbourne High School. During his final year (1999), he became fascinated with the stock market after one of his school buddies shared stories of how much money he was making while sitting in class. The allure of ‘easy money’ was enough to capture this ambitious teenager’s attention. Despite David’s final marks earning him a place at university, he turned down this opportunity (against the advice of many good intentioned friends and family), and decided to follow his newfound passion for the stock market. Not wasting any time, David secured a $5,000 loan and signed up to a stock trading course run by a company called Daytrader HQ. Looking back now, this course later became the best investment he ever made. Here David developed the methods he uses to this day, to consistently pull profits from the markets. It was also here that he struck up a firm friendship with a fellow trader, Stuart McPhee. It was early 2001, the tail end of the tech boom, and with some small trading successes David soon realized that he needed to build up a sizeable trading float in order to start trading seriously. Much of his initial profits went straight to paying off his $5,000 education debt. 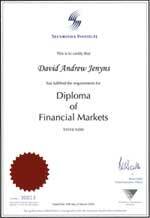 Fortunately, David secured a job at well-known stock broking firm, – right in the hub of Melbourne’s finance district. 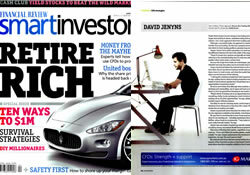 Here David took his market understanding to a new level, learning how big companies and funds traded. With this training, it really became evident that David had a high degree of talent and skill in his chosen profession. While at Ord Minnett, David completed his Diploma of Financial Markets at the Securities Institute of Australia (2003), which enabled him to gain a deeper understanding of the world of finance including p&ls, cashflows and balance sheets. Towards the end of his studies, David began looking for his next challenge. He’d kept his contact with Stuart McPhee and, after seeing how many people were experiencing difficulty using MetaStock, together they decided to write the ‘MetaStock Programming Study Guide’. It was an almost immediate success and was David’s springboard to gain some well-earned respect in the industry. Identifying David’s talent, (one of Australia’s leading stock market education companies) invited him to become one of their trainers. David saw this as a great opportunity to share his skills and under their auspices, he went on to train hundreds of would be traders. The demand for David’s time began to grow as he began taking on personal coaching clients and, in this role, he perfected his ability to make the complex appear simple. 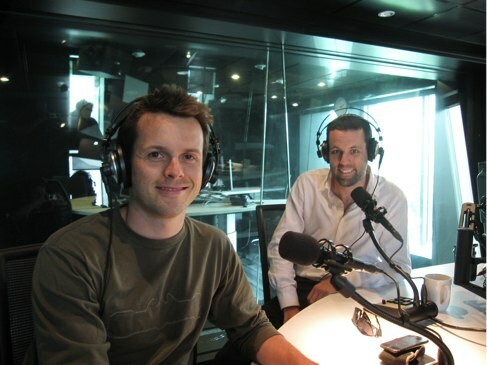 Success lead to more success and at the relatively young age of 22, David and Stuart undertook a tour of Australia, running ‘Metastock Secrets Seminars’. These seminars were given to sell-out crowds wherever they went. In 2003, the demand on David time was too great and he withdrew from the education industry to ‘go underground’ while he took stock of his life. David spent some valuable time exploring self development courses – including Anthony Robbins, Brian Tracy, Bob Proctor, Robert Allen, Jim Rohn, Wayne Dyer, Stephen R Covey, Robert Kiyosaki, Brad Sugars, Richard Bandler, Chris Howard – to name a few. As a result of this immersion in self-development, David began to evolve into what he calls the ‘complete entrepreneur’. His big break happened while driving past the Melbourne Cricket Ground (MCG). He remembered a story he had read of Paul Hartunian, an entrepreneur who made a fortune selling discarded pieces of the Brooklyn Bridge. At the time, the MCG was being renovated and David decided to replicate Hartunian’s idea. He tracked down the wreckers doing the job and bought as much of the old green benches and MCC crested carpet he could get his hands on. 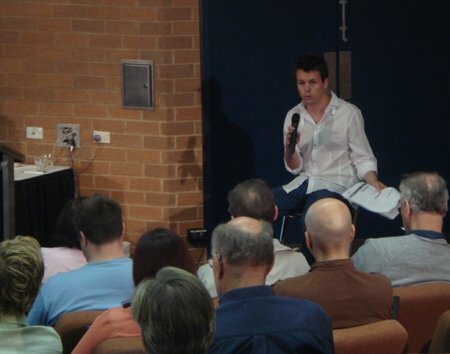 To cut a long story short, David gained some excellent media coverage and went on to sell more than $40,000 worth of merchandise via www.owntheg.com (sidenote: this money went straight back into his trading float). David’s love for business began to grow and, around this time, a long-term friend approached David to join him in opening a rock music-clothing store. Never turning down a challenge, he said ‘yes’. Over the course of the next couple of years, together they setup three retail stores, a huge online webstore and successfully franchised the concept. It was as though David had the Midas touch. Now, with great deal of entrepreneurial experience, David felt it was time to begin sharing his secrets and as he started to talk, people started to listen. He has authored two well respected books, Ultimate Trading Systems 2.0 and Trading Systems Revealed 2.0. He gained excellent media coverage throughout many journals and magazines. Publications such as Chartpoint, Smart Investor, Your Trading Edge, the Australian Financial Review and the Guppy Traders Newsletter have all featured him. Dave interviewed @ Fox FM. Today, David trades professionally, designs mechanical systems for his top end clients, runs workshops and provides limited one-on-one training. David is not yet thirty, yet he leads a life as a small business consultant in Melbourne that is envied by people twice his age. He travels the world for pleasure and business. David’s life as the complete entrepreneur has got off to a flying start, and for him now the sky is the limit.